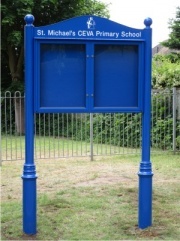 Custom Made Church Notice Boards: We manufacture a wide range of custom built outdoor church notice boards. They can be wall mounted, post mounted or mounted onto existing metal railings, fences, gates or posts. We build and adapt our custom external church notice boards to suit your particular requirements. There is a large range of vinyl laminated backing colours to choose from along with a variety of notice case sizes and frame colours. 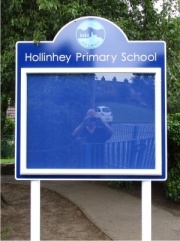 We offer a powder coating service where aluminium posts can be powder coated to match the sign face. 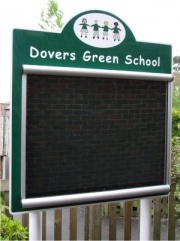 As always we offer our Free No Obligation design and quotation service which enables you to see exactly what your proposed new outdoor church notice board will look like as well as how much it will cost before you place your order.